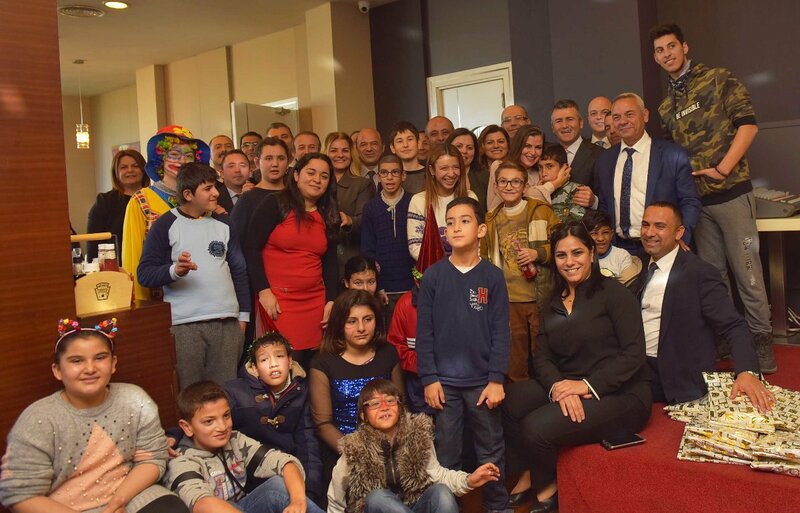 Celebrated New Year With Disabled Children | Kıbrıs İktisat Bankası Ltd.
İktisatbank organized an "unobstructed" new year party for students with disabilities who are studying at the Nicosia Special Education and Employment Training Center. During the event held at the Eziç Girne Premier, students and parents enjoyed themselves with music. In addition to the clown show, the students played various games, danced in popular songs, and enjoyed their new year gifts. Employees of İktisatbank also danced and enjoyed themselves with the disabled children and their parents. 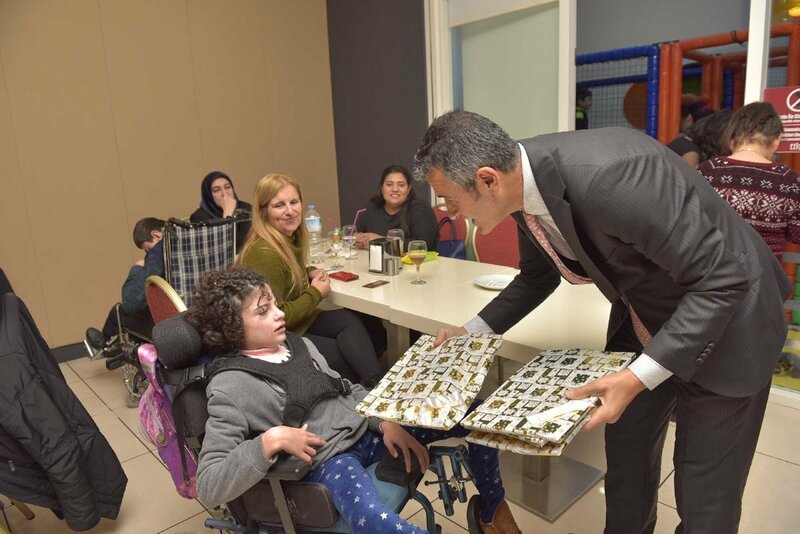 İktisatbank General Manager Assistant Tayfun Balıkcı stated that they have organized a new year party for disabled students for the first time this year to show disabled people are not alone in community. Also included that they want to continue this organization in the following years.